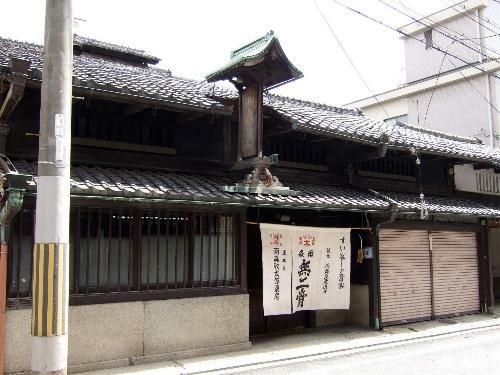 Since 2003 during my regular visits to Japan, Akiko Nakamura and I have been researching the status of surviving old shops and trades in three areas of Kyoto city where the traditional chonin (the artists, craftsmen and traders) used to work. All cities would have specific areas where certain trades took place, whether a textile producing area, dry goods and pharmaceuticals, fresh food and produce, artisans and craftsmen making lacquer ware, Buddhist statuary, woodblock prints and so on. We are compiling a survey of some of these individual traders and craftspeople in Kyoto as an example of the skills and products that will become ever more scarce as modern techniques and processes overtake the traditional methods of production. This is not an exhaustive survey, but our project aims to preserve the fact of the existence of these traditional traders while they are still present, and record their stories and working life for future generations who would otherwise not know of them. The project is on-going and to date we have surveyed around one hundred shops and trades, many of which have already closed or are about to close. The information we are collating will be published with additional visuals and video links when these become available. Suzanne Perrin and Akiko Nakamura have been conducting a survey on the traditional shops and traders of Kyoto since 2003, interviewing shop proprietors and workers, and assessing the status of their trades in a rapidly changing world. Many small businesses are being forced to close for a variety of reasons, whether due to declining orders for traditional items, competition from overseas, technological changes to production, or an ageing population of craft workers with few apprentices willing to learn a demanding process. 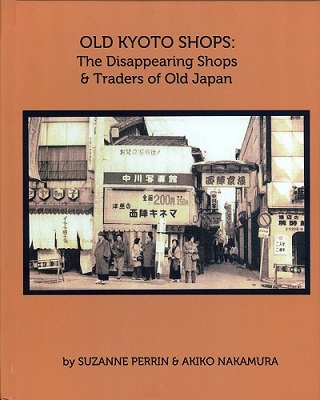 The book covers an introduction to the history of Kyoto, its craftspeople and licenced artisans, a compilation of statistics on the rate of declining small businesses in the Kyoto area, and focuses on different groups including textile workers, wood workers, metal workers, food suppliers, some ryokan and coffee houses, and general goods stores. The surveys highlight the problems of economic growth versus the decline in crafts and traditional suppliers, analysing solutions and successes where businesses have survived and prospered, or problems and difficulties where businesses have closed. The surveys were conducted between 2003 and 2016, and are on-going. Professional artisan, fourth generation weaving expert in Nishijin textiles, founded Ever Koubo in 1999, a weaving workshop for teaching younger artisans; works with her son producing fashion design clothing and is a registered Kyoto guide and textile consultant.